We thought you would like to know a soupçon about our new head chef, Martin Sludds. So in our latest blog we go behind the scenes to find out more. I started working in an American bistro in Mansfield as a pot washer when I was 15 years old and then one day ended up in the kitchen as they were short staffed. I’ve never looked back as I knew this was what I wanted to do. Did you go to college? If so, where, what course – was it what you expected? I went to West Notts College and did my NVQ1-3 Food and Drink, Food Hygiene GNVQ Foundation, Hospitality and Catering. It was as I imagined; hard work and long hours. I went to College in the morning, then straight to work in a local restaurant called Il Rosso in Mansfield at night. Did you do any work experience – if so where, what was good or bad about it? 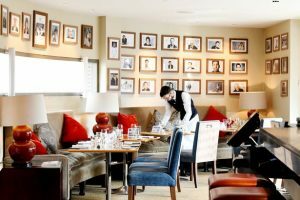 I completed nine months work experience in London at 1 Lombard Street, which is a Brasserie, Bar & fine dining restaurant at the heart of Bank in London. It’s where the city meets for breakfast, lunch and dinner. Like all good chefs it is best to gain experience from some of the best restaurants and where better than London? It was a very busy restaurant, good preparation for a chef’s life! I didn’t have a lot of spare time as I worked long hours in a team environment, but I loved it and it was good grounding. How long have you been working at Hart’s? 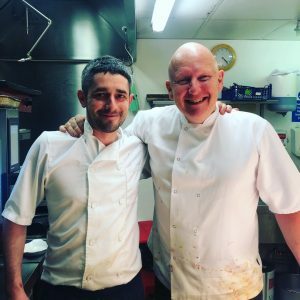 I joined for the second time in October 2017 as Sous Chef to Dan Burridge. I had previously been the Sous Chef when we originally ran the restaurant in the Park Bar back in 2006. I left in 2007 to support my good friend Troy Lambs in his restaurant Lambs at the Market in Mansfield as Sous Chef. This was the first restaurant in Mansfield to receive one Rosette for culinary excellence so I was very proud of my time spent there. Creating dishes, playing with different ingredients and flavours. Hart’s allows me to do this and I look forward to developing some special menu nights in the future. What do you most dislike about being a chef? Not being able to find the right balance of flavours to match, but when they do match it is very satisfying. Are you looking forward to working in the hotel again? I am looking forward to this new challenge and working with Aaron Patterson our Executive Chef from Michelin-starred Hambleton Hall. The team are excited too and looking forward to seeing people’s reactions to the new menu. Tell us a bit about your new team, what strengths do they bring? 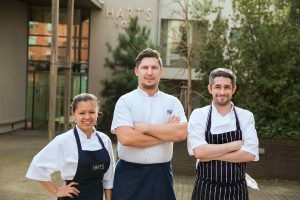 The team we have brought over from Hart’s Restaurant consists of Lukasz, Sous Chef and Davy, Chef de Partie who are two great chefs I have worked with over the last year. We work well together and support Tim Hart’s values on delivering quality, flavoursome dishes. 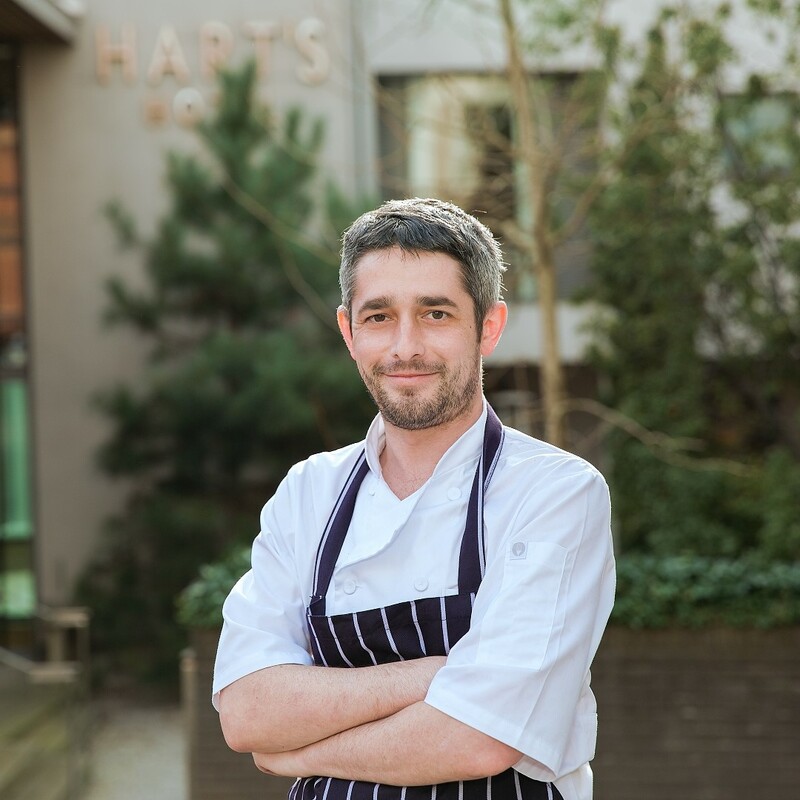 We have recruited a brand-new chef and can’t wait to welcome him to the Hart’s Kitchen family. What food are you serving at Hart’s Kitchen and how will it differ to Hart’s Restaurant? The food will remain comforting and classic, with flavoursome dishes which are exciting on the palette. We will continue to use the best quality and freshest produce, so I am delighted to be continuing our ongoing relationship with some of the best suppliers in the region. The biggest difference I would say will be our a la carte menu will change with the season rather than daily, with only a couple of dishes being rotated depending on ingredients. Chef’s Specials will change each day to reflect the fresh produce of the season and to offer a well-balanced menu. 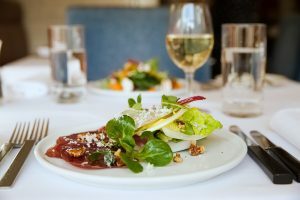 The restaurant is smaller but diners will receive the same attentive service in a warm and inviting environment where quality is not compromised. To reserve a table to dine in Hart’s Kitchen book online here or call our team on 0115 988 1900.